Weighs Approx. - 7,000 lbs. Rated Operated Lifting Capacity Approx. - 1,800 lbs. Overall Length - 11' 5"
Maximum Dump Height - 7' 11"
Diesel Engine - 63 Hp. / Fuel Tank Size Approx. - 20 Gal. Need full size truck with class 3 hitch and 2-5/16" ball to transport. Rate based on 8 hours use in 24 hours out. Responsible for diesel fuel used. 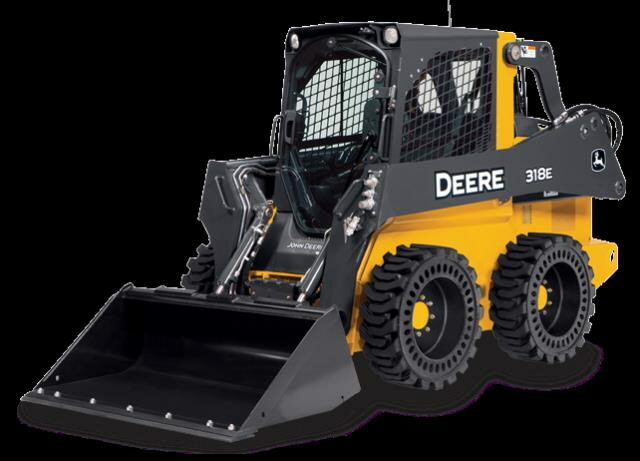 * Please call us for any questions on our loader john deere 318e hand open cab rentals in Hagerstown MD, Williamsport MD, Martinsburg WV, Waynesboro PA, Mercersburg PA metro areas.